There are a large number of protein powder brands available in the market today. Each powder caters to different needs and uses. 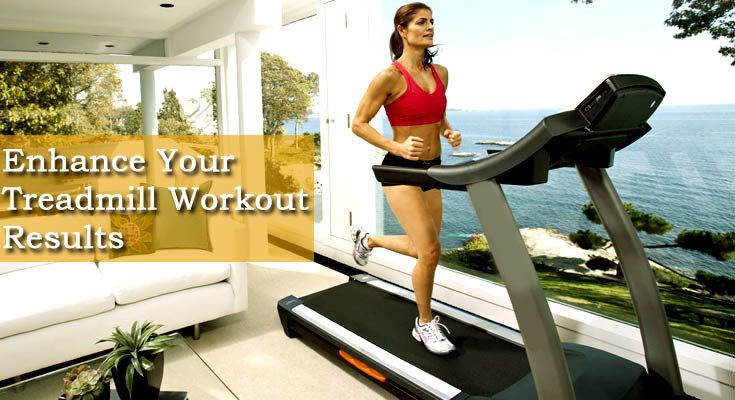 From weight loss to muscle building, you have a large number of options available. But what if you have diabetes? In that case, you need to find a protein supplement that takes care of your dietary needs and keeps your insulin level in check. In diabetes, the body cannot maintain healthy blood sugar levels and triggers them too high. These elevated blood sugar levels cause dry mouth, tiredness, urination, etc. The high blood sugar levels over time can damage the eyes, kidneys, and nerves. Whatever you consume has a direct impact on the blood sugar. Slow digesting foods trigger the blood sugar levels slowly, while carbohydrates raise these levels. Protein is one of the macronutrients found in food. The other two are fats and carbohydrates. Protein helps in repairing, rebuilding and maintaining the muscle. Composed of hormones, enzymes, and antibodies, it is body’s building block. People with diabetes while choosing packaged proteins like protein bars and shakes need to be extra cautious and avoid products with loads of artificial ingredients, sugar, and soda. A study published in September 2014, concluded that Whey protein could help in managing the blood sugar levels. It stated that Whey protein before meals could drastically lower the blood sugar levels. If you have diabetes, then select your protein supplement very carefully. Consult your doctor before ingesting any brand. According to the Food and Nutrition Board of the Institute of Medicine, males need 56 grams of protein/day, while women need 46 grams daily. Thus, if you are consuming that amount daily through solid food, you do NOT need supplementation. Another study by the American Diabetes Association revealed that the people with diabetes are at high risk of kidney disease. Therefore, if your kidneys are weak do not consume too much protein. Ruling number one on the list is the NutraBio 100% Whey Protein Concentrate. This 100% Whey protein has no fillers or additives. Certified Gluten-free Kosher, it is suggested safe for diabetic use. Made in an FDA certified lab, this protein powder has a creamy consistency, provides 25 grams of protein and 132 calories. The only disadvantages are a smaller serving size and lower serving of protein. This premix ready to drink shake is designed for people with diabetes and is recommended by the doctors as a snack between meals. The protein blend offers ten gms protein, 26 minerals, and vitamins, slow release carbs that maintain blood sugar levels. Available in 4 lip-smacking flavors, it can be cherished on the go. On the flip side, Glucerna Nutrition Shaken is kinda expensive and provides a small dose of protein. Designed for a diabetic diet, this protein supplement is packed with necessary vitamins and minerals. Available in 3 exotic flavors, it provides 26 gms protein per serving, 20 critical amino acids, and 126 calories. The only problem with this protein powder is its sickly sweet taste. Apart from ready-made protein shakes that might contain a high amount of sugar and additives, you could try the following protein shake recipes at home. To whip up this thick and creamy, gluten-free protein shake blend together – 1/2 cup Fat free cottage cheese, 1 scoop Vanilla protein powder, 2 tsp sugar free maple syrup, 1/2 tsp Cinnamon Powder or Nutmeg or pumpkin pie spice, 3-5 Stevia packets or any other sweetener, 1/2-1 cup Water, 5-10 Ice Cubes. Enliven your childhood memories again! Treat your hunger pangs with this fruity delight. Rich in antioxidant flavonoids, fiber and bio-active compounds this melange will help in avoiding a rise in the blood sugar levels and unnecessary fat. To prepare this delicious shake – combine 3 cups unpeeled apple cubes, 1/2 tsp cinnamon powder, 1 cup unflavoured chilled soya milk, 2 cups low-fat milk, and 1/2 tsp sweetener (only if you need.) Prepare and have immediately. For preparing this antioxidant-rich smoothie, blend 1/2 cup unsweetened soy milk, 1/2 cup tofu, 1/2 cup frozen strawberries, 1/2 small banana, 1/2 teaspoon almond extract and sweetener if needed. Your protein shake is ready! Have timely meals. Eat every 4 to 5 hours. Ingest complex carbohydrates like bread, sweet potatoes, pulses, lean protein, and healthy fat with each meal to control blood sugar entire day. Avoid pasta and white bread. Try slower-digesting carbohydrates with food products that provide additional nutrients such as Beans, Lentils, Chickpeas, Fruits, and Vegetables. These complex carbohydrates might cause a small spike in blood sugar. Thus, pair them with a lean protein and healthy fat. As mentioned earlier, if you have kidney conditions then limit your protein intake. If you do not have any kidney issues, you can consume up to 2 grams/kg of body weight without any adverse effects. However, avoid ingesting more than 2.5 gms/kg of body weight to prevent Dehydration, Tiredness, Excretion of calcium in the urine, and liver problems.